In the prior article on Captain Joseph Fry, I briefly laid out the details of his life. Now, I wish to write this second article about the details of his death. The Virginius Affair might be well-known to diligent students of American history. This was yet another event which fanned the flames of animosity between America and Spain, which would finally burst into an inferno twenty-five years later. This tragic event has its beginning when Joseph Fry left Louisiana for New York City in order to find a position of command on an ocean steamer. 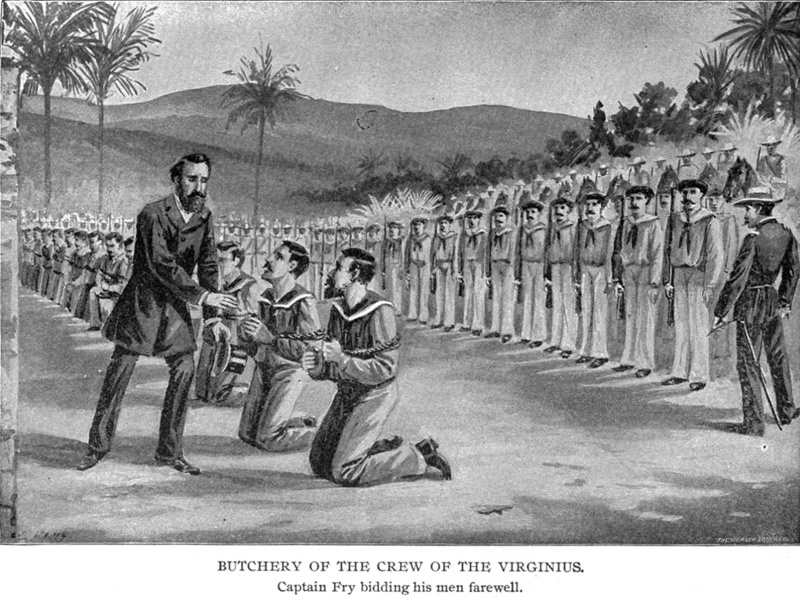 His efforts led to him being introduced to General Manuel Quesada, a leader of the Cuban resistance, who convinced Fry to captain the steamer Virginius. The old vessel would be put to use by the Cuban freedom fighters as a blockade runner; even though the vessel suffered from not being well maintained. This would prove fatal later, but Fry, desperate to find a means of providing for his family, eagerly accepted the command. In the hope that the Stars and Stripes would provide some protection, they registered the vessel as an American ship.